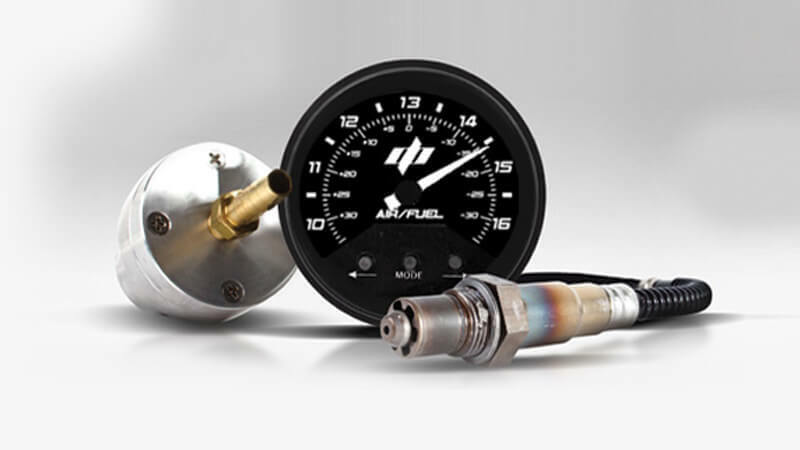 Powered by Dobeck Performance, the AXIS dynamometer is the future of performance tuning for race and recreational vehicles. 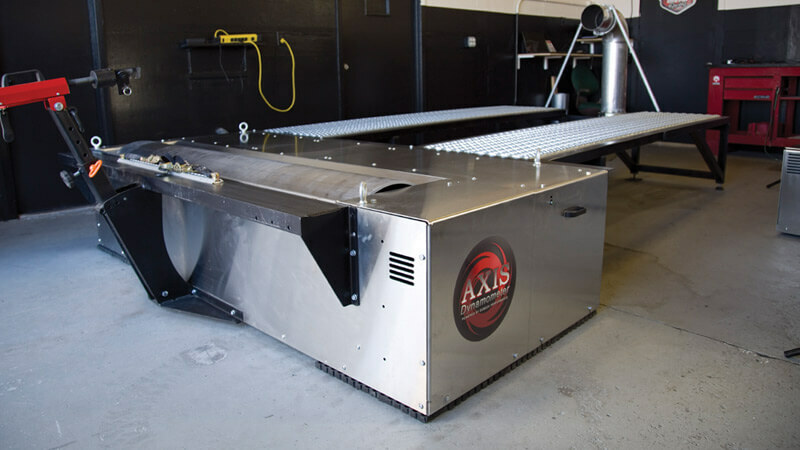 With the patented Direct Torque Measurement and Air Turbines, AXIS creates real-world variables with accurate measurements. Quickly and accurately diagnose all running aspects of a vehicle while adjusting to the finest decimal. 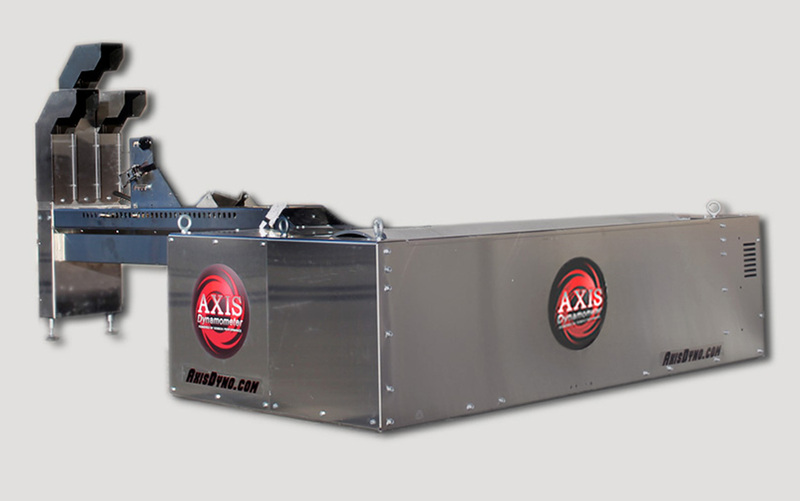 The AXIS dynamometer brings a new standard of stationary road testing for motorcycles, trikes, ATVs, UTVs / side-by-sides, and scooters. Dynamometers are used for vehicle and engine design, to develop new aftermarket products and diagnose problems for vehicle repair. Varying degrees of complexity have been used in an attempt to simulate road conditions such as wind drag, inertia (the weight of the vehicle), or climbing a hill. By utilizing our Direct Torque Measurement design and a light weight drum, the tire is touching the load cell; eliminating all frictional drag from bearings, belts and temperature changes. This technology greatly enhances the AXIS Dynamometer's repeatability and accuracy over the competition. 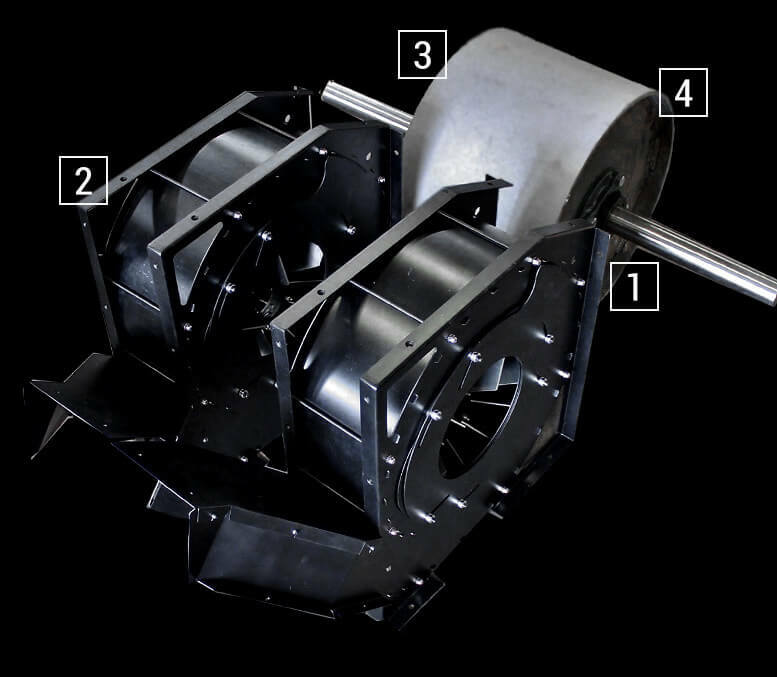 Air Turbines powered by the test vehicle create aerodynamic drag proportional to the vehicle’s speed. 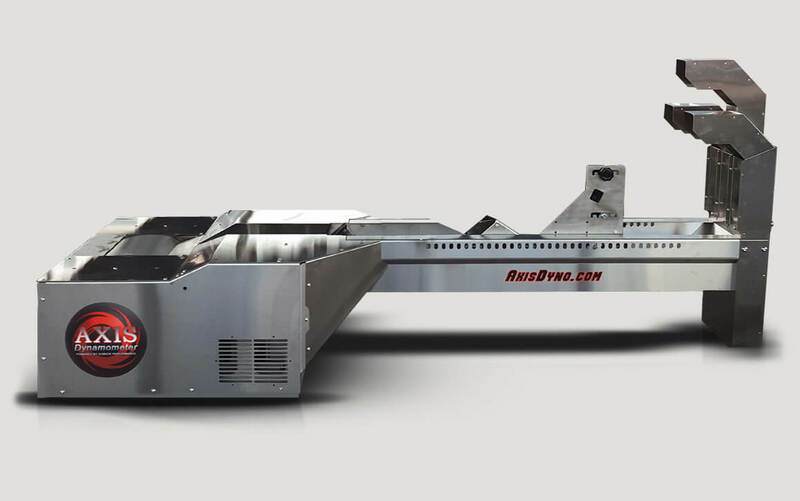 There's also an optional Air Drag Trimmer that allows for the dynamometer machine operator to trim out an additional 25% load for other special effects such as drafting. The drums on the AXIS dynamometer machines are coated with a durable and rust-resistant, metalizing arc spray. This specialized arc spray material delivers uncompromised traction and tire wear that matches the road, pushing each test closer to real life conditions. 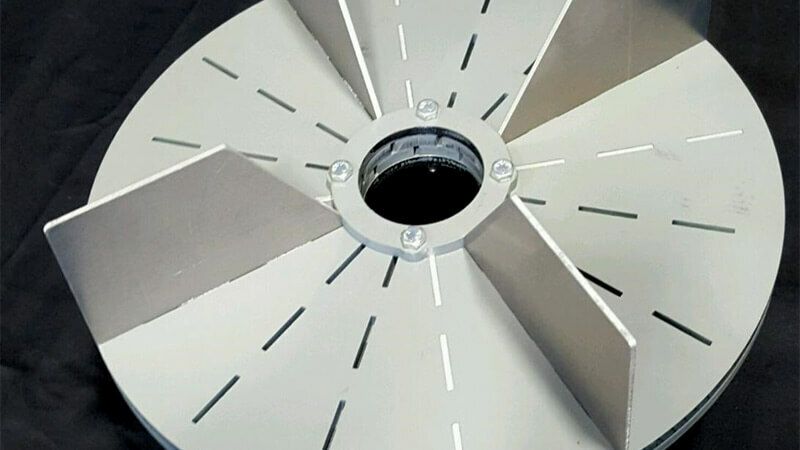 By simply stacking or removing up to 10 inertia discs, the test vehicle’s weight can be accurately matched. This allows for more precise tuning and provides the opportunity to test a variety of vehicles. Wind created by the turbines is redirected through the ducts to cool the test vehicle’s engine. 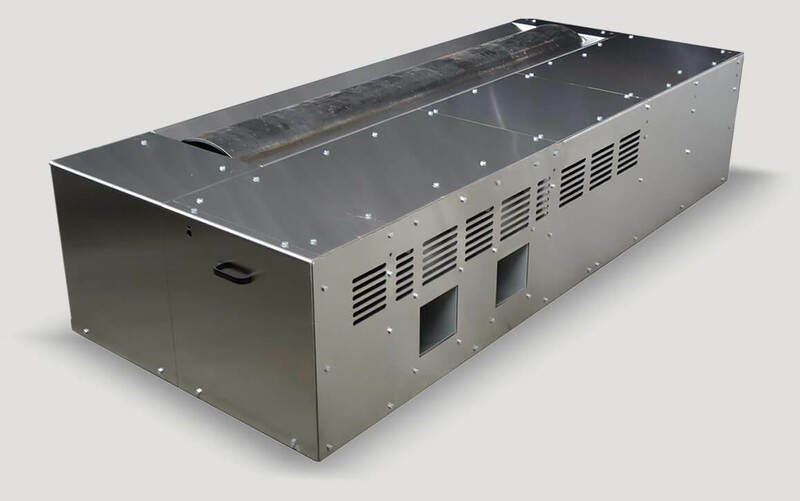 The air velocity is proportional to the vehicle’s speed, providing the same engine cooling as driving on the road without requiring additional cooling fans. Today’s motorcycles have primary and secondary fuel injectors, throttle control, ram air intakes, exhaust output control, launch and shift control, individual fuel and timing maps, etc. A new kind of dynamometer is required to handle these innovations. 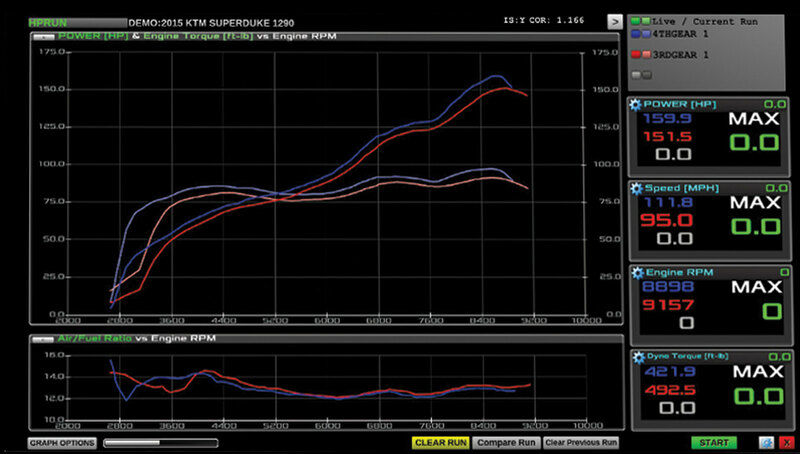 The MOTO VX-12 delivers unique features allowing the motorcycle dyno to produce track running conditions to fully analyze a vehicle to the exact detail. Extremely popular in today's motorcycle sales are Trike applications. The MOTO VX-60 is the most versatile dynamometer to handle both regular two-wheeled motorcycles along with three-wheeled (two rear wheels) motorcycles. The MOTO VX-60 combines various parts of the MOTO VX-12 along with the QUAD RX-74 to provide shops the flexibility to run even more models. Wheel base: Min 44" to Max 85.25"
Real world conditions are critical for setup and testing of CVT clutches. The QUAD RX-74 dynamometer is the first to give you the ability to troubleshoot and tune your CVT clutch. The atv/utv dyno crushes competition in traction, tire wear and ease of use. The Gates Corporation (manufacturer of CVT belts) uses the QUAD RX-74. Come join our high tech team of tuners before you find yourself a lap down. With roots in gaming software, AVS allows you to acquire and analyze multiple variables at once and most importantly, in real time. Diagnostic graphs are displayed as the data is collected. You can scan over a dynamometer run and pinpoint any specific moment in time. You can also create your own drive cycle for the vehicle to operate in. Multi-screen options are available to analyze and compare different variables of data all at once. The AVS allows a variety of inputs: Power(HP), Speed, Engine RPM, Engine Torque, Dyno Torque, Injector Pulse Width and Duty Cycle, Air/Fuel Ratio and Drive Ratio. The base software also comes equipped with an additional four auxiliary (0-5 volt) inputs, with the option to upgrade to as many as 64 inputs. Each one of the Dobeck AXIS dynamometers offers various additional parts to enhance the testing experience. All of dyno Add-Ons are manufactured in the United States and designed specifically to work with AXIS Dynamometers. The Clamp-N-Go mount system offers a quick and convenient way to securely mount most UTVs, ATVs or trikes to the AXIS dynamometer; achieving 5 minute dynamometer runs including loading and unloading. By utilizing a hydraulic system, the AXIS dynamometer trailer can be set in place within a matter of minutes by simply lowering the frame to the ground. Purchase the rolling chassis to create your own custom look or sit down with our design team and we will build your vision. The QUAD RX-74 can be equipped with a front deck and air ducting. Built from steel, the frame is topped with industrial grade Grip Strut tread. If you specialize in sand dune, mud, or ultra-horsepower tuning, an additional blower can be installed in a matter of minutes. 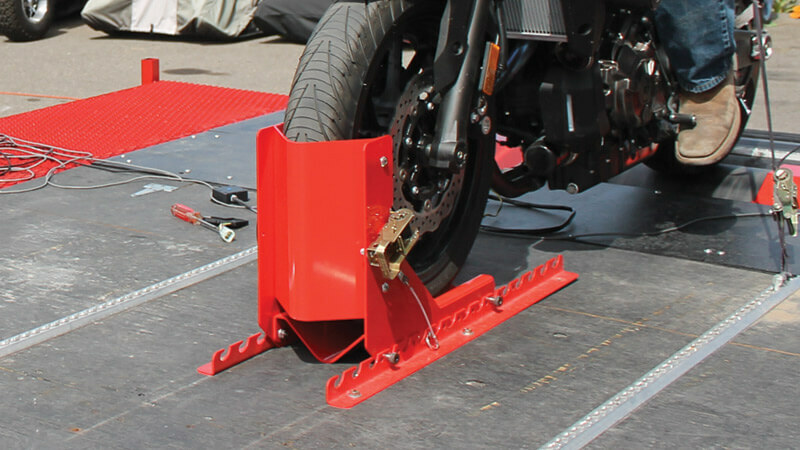 A front wheel chock can be mounted on the QUAD RX-74 dynamometer so testing can be run on a trike or motorcycle. The base software can utilize up to four (0-5 volt) AFR inputs. Add on Dobeck Performance's SAFR system to view AFR from your vehicles.